Home Tags Articles tagged with "diabetes"
According to the Centers for Disease Control and Prevention, diabetes is estimated to affect 25.8 million Americans. In the United States, about one in four people over age 60 has diabetes. Diabetes is a chronic condition in which the body does not properly process food for use as energy. It is the seventh-leading cause of death in the United States. Diabetes doesn’t allow your body to make enough insulin or isn’t able to use its own insulin as well as it should, resulting in a buildup of sugar in your blood. Serious health complications can include heart disease, blindness, kidney failure and lower-extremity amputations. There are two types of diabetes: Type 1, which requires insulin as medication, may start as early as childhood; Type 2 is sometimes called adult-onset diabetes. The most common Type 2 may be hereditary. It is more common in people who are overweight. The ABC method is used for managing diabetes and any complications: A for the A1C test, B for blood pressure and C for cholesterol. Controlling blood glucose, blood pressure and cholesterol can aid in reducing the risk of long-term complications. A1C test measures your average blood glucose for the past 2-3 months. Normal A1C levels are less than 5.7 percent. Levels for diabetes is 6.5 percent or higher. Prediabetes levels are 5.7 to 6.4 percent. Pain or numbness in the hands and feet, extreme fatigue and blurry vision are just a few of the warning signs you might be at risk for diabetes. Check with your doctor if you are experiencing any of these symptoms. Early detection and treatment can decrease the risk of complications. Living with a chronic condition, such as diabetes, can leave you feeling tired or depressed. Some days will be harder to get through than others. Take care of your emotional health. Diet, exercise and taking time to relax are very important and contribute to your overall health. Have regular checkups. Do simple things that you enjoy. Go to a movie. Take a mini road trip. Read a book. And more importantly, keep informed. Make a list of questions and take them with you to your next doctor appointment. 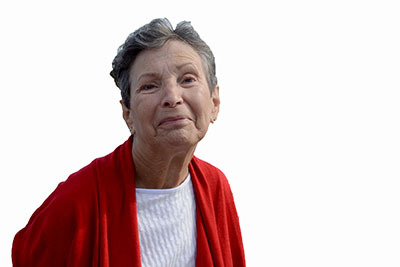 Joan Koczor is a senior advocate and member of the Age-Friendly Maricopa Advisory Committee. This column appears in the March issue of InMaricopa. The Pinal County Public Health District will sponsor a free diabetes class on Thursday at the Maricopa Public Health Clinic. The topic this May: Healthy Eating and Diabetes. The class is from 3 to 5 p.m. at 41600 W. Smith-Enke Road, Building 15 (near the Maricopa Library). Since diabetes is largely self-managed and about 99 percent of the care comes from the patients and their families, it is an important skill to know what and how much to cook and eat. These classes will offer up-to-date, practical “how-to” information and skill building on monitoring, healthy eating, being active, problem solving, medications, and reducing risks. The class is taught by Sheri Steincamp, MS, RDN, CDE, CHWC, and will cover topics such as carbohydrate counting and meal planning. Please call Rosanna at 520-866-7313 to reserve your spot or just show up. Walk-ins are always welcome.